Do you dream of exploring coral reefs around the world? A-1 Scuba guides multiple group escorted dive trips throughout the year, allowing you to stay in gorgeous places as you explore turquoise water with other enthusiasts. This year, consider joining A-1 on an exciting trip to either Cozumel, Mexico or Wakatobi, Indonesia. Your adventures will be run by a Master Diver Trainer who will ensure your safety in all situations. Leave the details to A-1 Scuba and sign up for the trip of a lifetime. With its location in the Caribbean Sea, Cozumel, Mexico is a haven for divers. 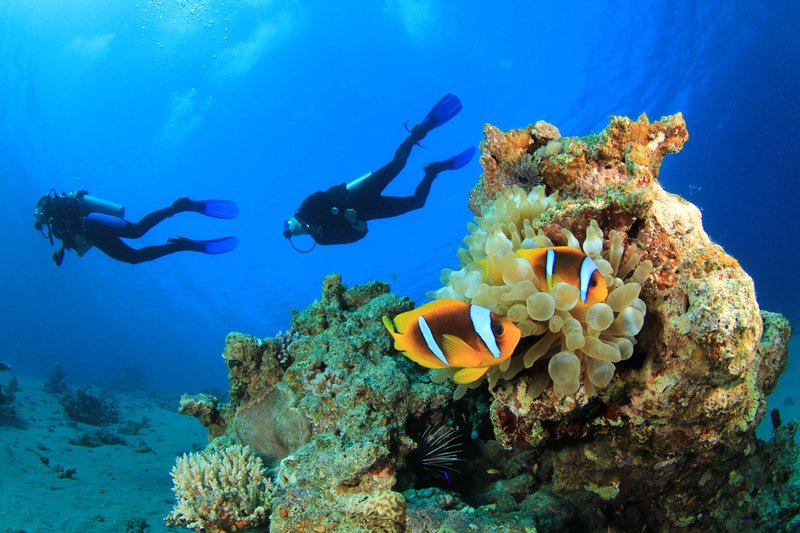 Explore the blue waters as you take in the vast marine life amongst the reefs. Be sure you have all of your scuba gear ready for your trip. From August 10 – August 17, you will have the opportunity to do five days of drift diving and explore underwater tunnels, reefs, and overhangs. A-1 Scuba plans for all of the dive details, so you don’t have to worry about a thing the entire trip. Enjoy round trip air travel, hotel and airport transfers, accommodations, boat diving, and complimentary meals and drinks. Along with fantastic diving, you are able to enjoy all-inclusive amenities at the Hotel Cozumel. With all meals and drinks included in your stay, your biggest decisions are food choices and if you want white or red wine with your meal. When not diving, relax by the pool or take a leisurely stroll along a white, sandy beach. Walk into town and explore the charm of Cozumel while enjoying a local margarita. Grab your friends and sign up for this awesome Mexico trip. Wakatobi National Park is a marine lover’s paradise with some of the best diving spots in the world. The area of Wakatobi has more than 50 dive spots to explore, and their no fishing policy leaves many things to see; from gorgeous fish to intriguing corals. From October 15 – October 28, you will be able to take part in three boat dives every day you stay at the resort, as well as unlimited diving off the house reef. You will also get to experience a few nights in beautiful Bali. to experience relaxing comfort in a natural environment. Your dive package includes three meals at the resort as well as spacious accommodations. Whether you want to read a book on the beach, get a relaxing spa treatment, or practice yoga at sunrise, the resort offers a variety of activities to engage in before or after your diving excursions. If you are looking for the ultimate dive trip in a tropical setting, this is the trip for you. 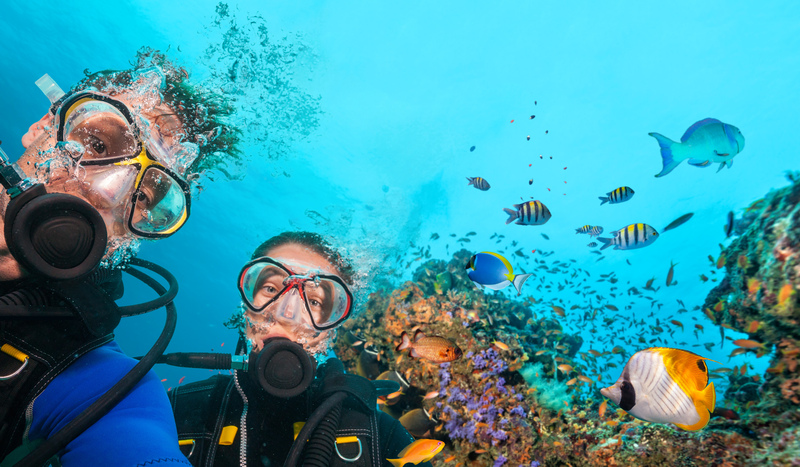 Whether you are new to diving or you have been exploring underwater for years, going on group escorted dive trips is a great way to experience gorgeous reefs in a safe and fun environment. Contact A-1 Scuba to inquire about all the available dive trips. The travel experts do all the work, including planning dive outings, organizing transportation, and acquiring lodging for your stay. All you have to do is show up and have a great time!